Southern California has some of the most beautiful climates in the world. It’s almost always sunny, warm and gorgeous outside. When you have a nice car out here, it can last for a long period of time. However, the downside is that it can get dirty quickly. With all the smog in the air, it only takes a few days outside on the street for your car to have a level of grime that makes it look so much less than it actually does. For the most convenient way to restore your car’s good looks, try our mobile car wash.
You’re busy. You have a million things to do, between your job, family life, social life, and so much more. Juggling all the things you have to do is hard on any given day. You make a schedule and stick to it, but if you’re like most people, you feel like you never get everything done that you want to. That’s what makes our mobile car wash so great. You don’t have to come to us, we’ll come to you. We bring the car wash to your location, so that you don’t have to take time out of your day. Consider: when you go to a traditional car wash, you’re stuck there. You have to stay at the location, just waiting around for your car to be washed. With our mobile car wash, you’ll be able to be productive at home. You can do whatever you want while we’re washing your car. You can do work, you can sit with your family, you can take the dog for a walk… or you can just sit and watch TV. That’s the beauty of a car wash that comes to you, it puts you in control. Now, you can do what you want. The motto of our car wash is “car wash in minutes.” That motto works on a couple levels. First, we do a quick and thorough job of washing your car. We make sure that we wash it completely in a short period of time. You want to get back into your car and back out on the road, and that’s exactly what our convenient car wash allows you to do. However, the other use of that phrase is that we can get to you in minutes. Our mobile service that washes cars can get to you in a hurry, too. That makes it easy to plan if you want to take your car out later that day. We have different car wash services available, so that you can find the one you want for your vehicle. The “Express Wash” is just that: a fast, exterior-only mobile car wash that gets the job done fast. The “Premium Detail Package,” however, is exactly what it sounds like: it cleans the interior and exterior till they shine in the LA sun. 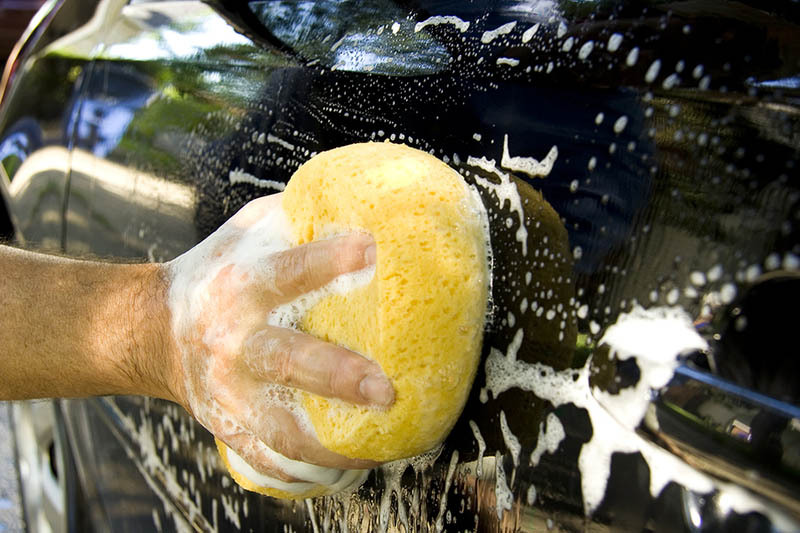 To clean your car conveniently today, call us at (888) 209-5585 or book an instant quote at our site.